Recycling Ireland List Foil and sweet wrappers don’t make the list, and must go in the general waste bin. More than 1,000 tonnes of recyclable material will be left over when Irish consumers have munched through an estimated 17 and a half million* chocolate eggs this Easter. 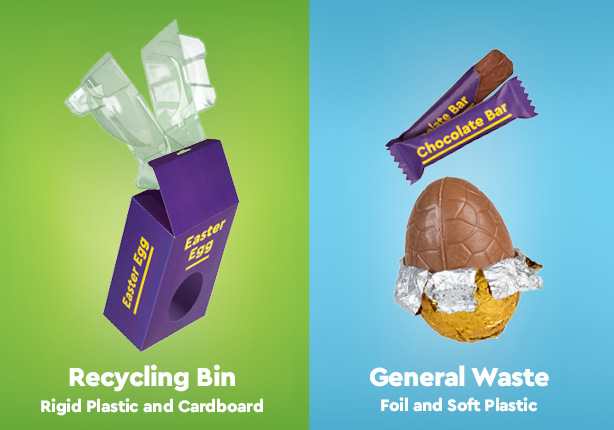 Ireland’s three regional waste management offices (Connacht/Ulster, Eastern/Midlands, and Southern) are advising householders that all cardboard and hard plastic from Easter eggs should be disposed of in the household recycling bins as per Ireland’s household recycling list. Sinéad Ní Mhainnín Waste Prevention Officer with the Connacht-Ulster Waste Management Office (CUR) said, “It is extraordinary the amount of packaging that is used every year for Easter eggs. On average 25% of the overall Easter egg product is made up of cardboard and plastic according to a recent Which? survey. So in reality we get to eat just three quarters of the product. “Foil and soft plastic, such as that used for sweets and chocolate wrappers, must be disposed of in the general waste bin however, as it can be difficult to clean food from foil,” she added. Anthony Muleady, Chairman of the Irish Waste Management Association, the trade association for waste management companies in Ireland, said, “The recent survey by Which? in the UK found that plastic and cardboard packaging made up more than a quarter of the product weight of some of the best-selling Easter eggs. With some 17 million Easter eggs consumed in Ireland each year that is a lot of cardboard, plastic and foil to be disposed of. “Unnecessary packaging is a big environmental issue and we need to see manufacturers doing more to reduce it,” he warned. 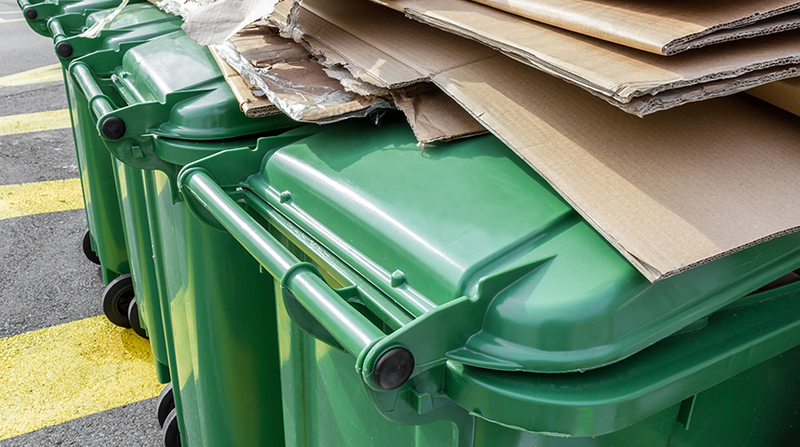 “The waste management industry is also asking householders to familiarise themselves with Recycling List Ireland which outlines the list of recyclable materials that are suitable for the dry recycling bin,” he added. For further information on Ireland’s New Recycling List log on to https://recyclinglistireland.ie.